Around 80 percent of land area in Europe is used for settlement, agriculture and forestry. In order to increase yields even further than current levels, exploitation is being intensified. Areas are being consolidated in order to cultivate them more efficiently using larger machines. Pesticides and fertilisers are increasingly being used and a larger number of animals being kept on grazing land. “Such measures increase yield but, overall, they also have negative impacts on biodiversity,” says UFZ biologist Dr. Michael Beckmann. “This is because even agricultural areas offer fauna and flora a valuable habitat – which is something that is frequently not sufficiently taken into consideration.” In addition, previous studies have mostly examined the effects of intensified land use only from one perspective: either with regard to the increase in yield or the loss of biodiversity. 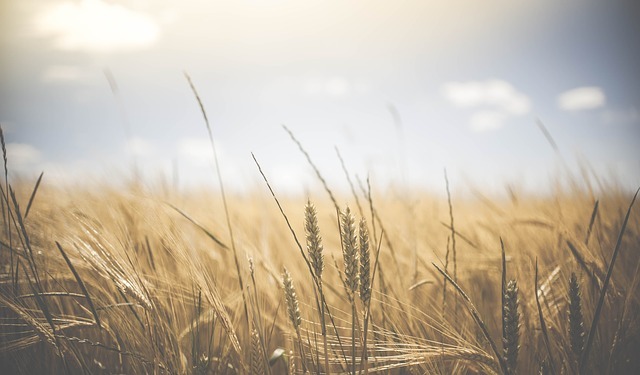 “We unfortunately still know far too little about the relationship between the two and what price nature ultimately has to pay for increases in yield,” says Beckmann. In the recent study, the team of scientists aimed to address this knowledge gap. To this end, the researchers sifted through some 10,000 topically relevant studies looking for those that collected measurement data for yield and biodiversity both before and after intensification measures. “The majority of the studies fell through the net in this respect. A mere 115 studies actually measured both parameters for the same areas, making them relevant for our purposes,” says Beckmann. The 449 agricultural areas examined in these studies are, however, distributed around the globe, are located in different climatic zones and the time they have been in use varies greatly. To be able to use these studies for their analysis, the researchers developed a mathematical model that takes account of these differences and renders the data comparable. They then summarised the respective yield increases and biodiversity losses. “We were able to demonstrate that, on average, intensification of land use gave rise to an increase in yield of 20 percent but this is, at the same time, associated with a nine percent loss of species,” says Beckmann. To obtain a more detailed insight into the impact of intensification measures, the researchers divided the agricultural areas into three classes of intensity – low, medium and high. Proceeding in this way made it possible to compare the results of all three agricultural production systems – arable land, grasslands and forest – with each other. Areas of medium intensity of use demonstrated the highest increase (85 percent) in yield following intensification measures. But they also had the greatest loss of species (23 percent). In contrast, areas that already had high intensity of use did not reveal any significant loss of species but still showed an increase in yield of 15 percent. “Initially, this sounds excellent: greater yield without loss of species,” says Beckmann. “But where there was not much biodiversity left to start with due to highly intense usage, there is, of course, also not much that can be lost. 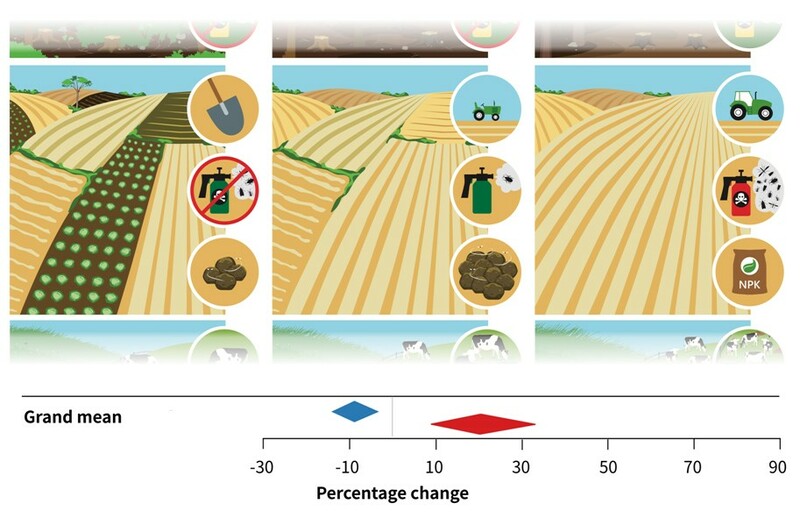 In such cases, the critical point may have already been passed.” In a comparison of the effects of intensification measures on arable land, grasslands and forests, forests performed best with regard to lower species loss. The study findings indicate that intensified land use may, in individual cases such as timber production, also lead to greater yields without any detrimental effect on biodiversity. Materials provided by Helmholtz Centre for Environmental Research – UFZ.